Fans of New Girl need more shows like it to fill the comedy void in between season. This show does an excellent job of combining comedy and drama when it comes to the lives of a group of friends dealing with relationships and other issues in life. If you love keeping track of Jess and Cece, you’ll probably enjoy these other TV shows like New Girls too. This romantic comedy’s main character was inspired by the lead actresses own mother. Mindy Lahiri is an obstetrician at a small practice in New York City. She’s doing her best trying to juggle her personal life and her professional life at the same time. Throughout all 109 episodes, her somewhat quirky group of co-workers help her pave the way. Among them you’ll meet Danny (her love interest and BFF), Morgan (a cut-up registered nurse) Dr’s. Reed and Prentice and ex-con Tamra… just to name a few. The New Normal showcases the life and antics of Bryan and David, a typical wealthy couple who happen to call Los Angeles home. The two decide to have a baby and recruit Goldie Clemmons to be their surrogate. Goldie moves in with her 9-year-old daughter and the fun and family bonding begins! The New Normal lasted one season, during which 22 episodes aired. If you love Christina Applegate, you’re going to love Up All Night. In the first season, she’s cast as a TV talk show producer (Reagan), who has a new baby at home. Her husband is a stay-at-home dad, who’s just trying to adjust. In the second season, Reagan’s talk show get’s canceled. It’s her turn to get more comfortable with parenthood, as her hubby starts a new business with her brother. 2 Broke Girls is still going strong, after 138 episodes. As of this writing, Season 6 just premiered. Caroline Channing and Max Black are best friends who work in a diner together. Caroline grew up rich. Max grew up poor. Their dream is to raise enough money to start their own cupcake business. The burning question is this. With two different perspectives on life, will it ever become a reality? Veteran actors Cloris Leachman and Martha Plimpton star in Raising Hope, a comedy about a 23-year-old father who gets custody of his child after the baby’s serial-killer mother gets a death sentence. Yes, Jimmy Chance had a one-night stand. But, his zany family members do all they can to help him raise his daughter. Hopefully, these shows peak your interest. 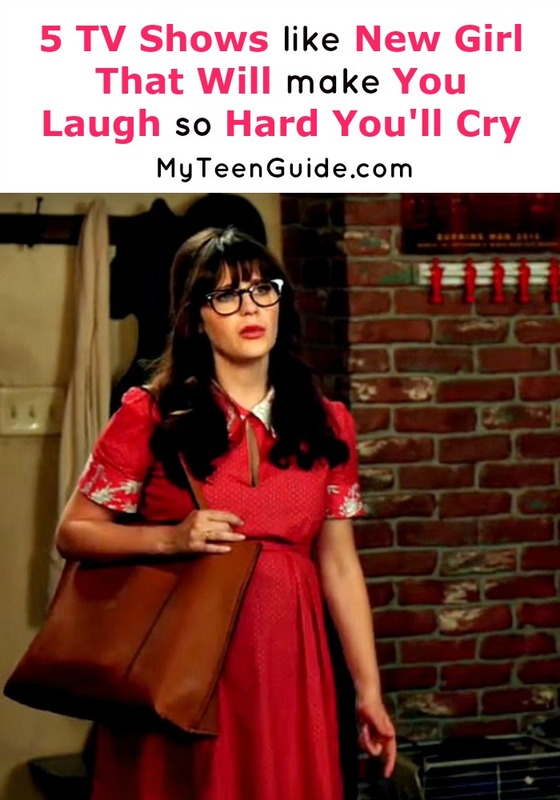 If you love a good comedy, these shows like New Girl definitely fit the bill! Not only that, they’re great for watching on a Saturday afternoon. Which one of these shows has made you laugh?